What is every amino product built off these days? 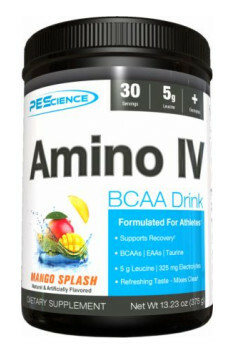 Branched chain amino acids (BCAAs). BCAAs are key ingredients to consume no matter what type of athlete you are: Bodybuilding, powerlifting, long distance runner, or sprinter. If you work your muscles…BCAAs should be a go-to supplement. But the majority of the BCAA products on the market are just that...BCAAs, not a whole lot else. There are a few industry-funded BCAA studies out there with good results. But we feel these products are missing something essential...literally! The body runs off what we call Essential Amino Acids. These are amino acids that your body cannot make on its own. They must be consumed via diet. You see, when your body goes to make new protein, like the protein that make up your muscles, it requires that all of the 9 essential amino acids be present, not just the 3 BCAAs. Your body starts by making muscle protein to build muscle mass. It incorporates the BCAAs into the growing protein chains, and then your genetic code calls for an essential amino acid. So what happens if you don’t have EAAs present? - The new protein is terminated. You simply do not benefit. - Your body breaks down a pre-existing muscle protein (known as “catabolism”) in order to get the missing amino acid. The net effect is loss of muscle mass. Mix 2 level scoops in 12-20 ounces of water. Adjust the amount of water to achieve desired taste. Drink during workouts or athletic events. Additional servings can be taken throughout the day on training and non-training days. For best results consume at least 2 level scoops per day. It works best during training, however, there are no contraindications to use before or directly after training. The recommended dose seems to be reasonable even for sportsmen with higher body mass. We will benefit most when using during trainings characterized with high intensity and/or long duration. Natural and Artificial Flavors, Citric Acid, Malic Acid, Sucralose. Contains Phenylalanine.